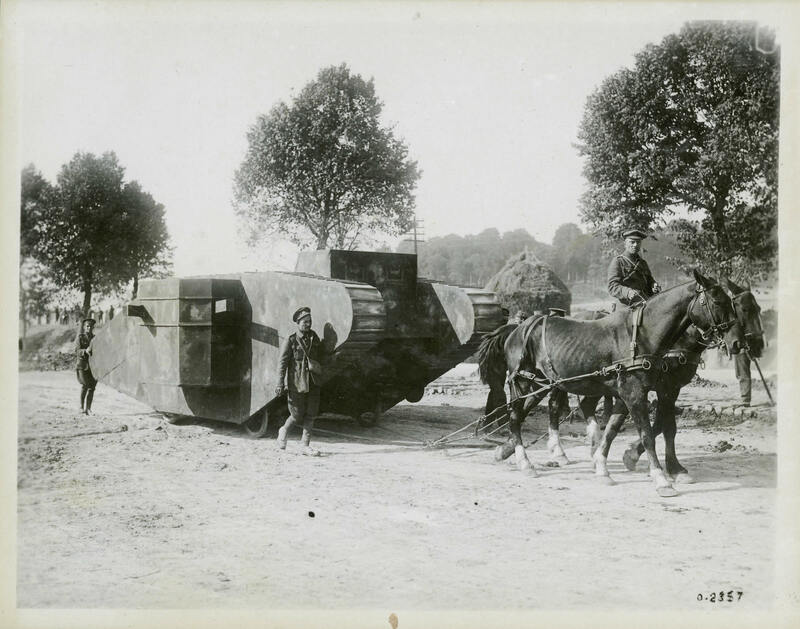 A dummy tank, named John Collins, being pulled into position by a team of horses in December 1917. Dummy tanks, usually constructed of wood, were meant to fool German observers and draw enemy artillery fire. All tanks were individually named, like naval vessels.